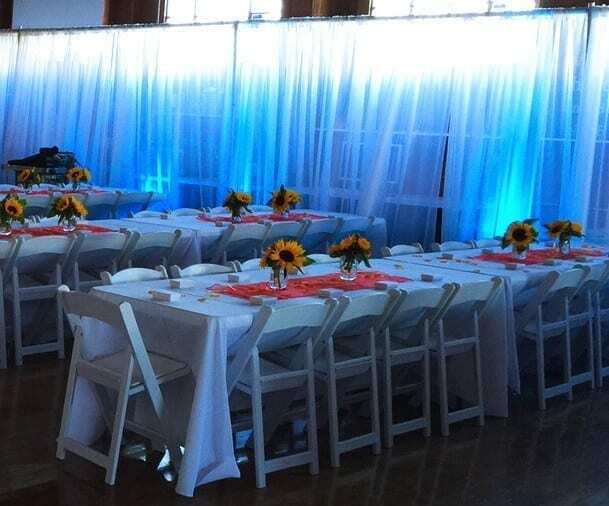 Change the color of the room or transform your space with pipe drape rentals and wedding backdrops. When combined with up our lighting you can have any color wall configuration available. 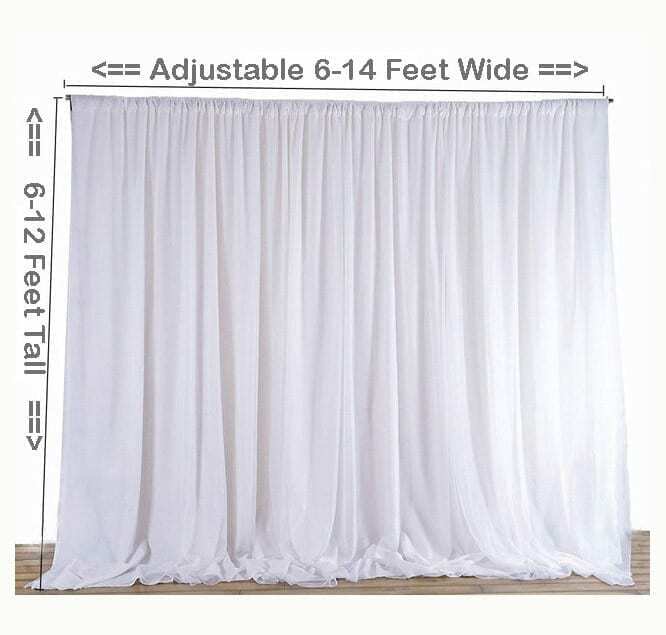 Pipe and drape is what makes total room transformations possible for the lowest price. Pipe is a drapery frame system and drapery rentals come in lineal feet, width is standard 6-10 feet and 10-12 feet in height. Many options available in size, color, and fabrics. 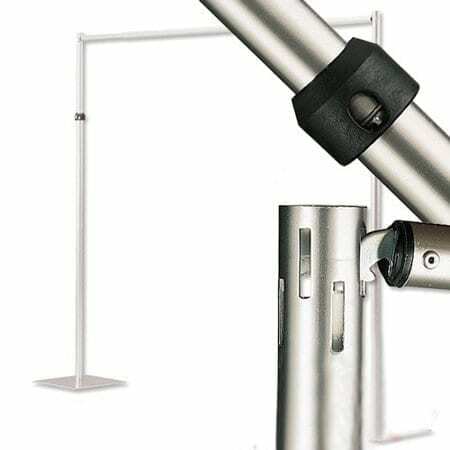 Pipe and drape is perfect for step and repeat panels. How to create a backdrop for a party? 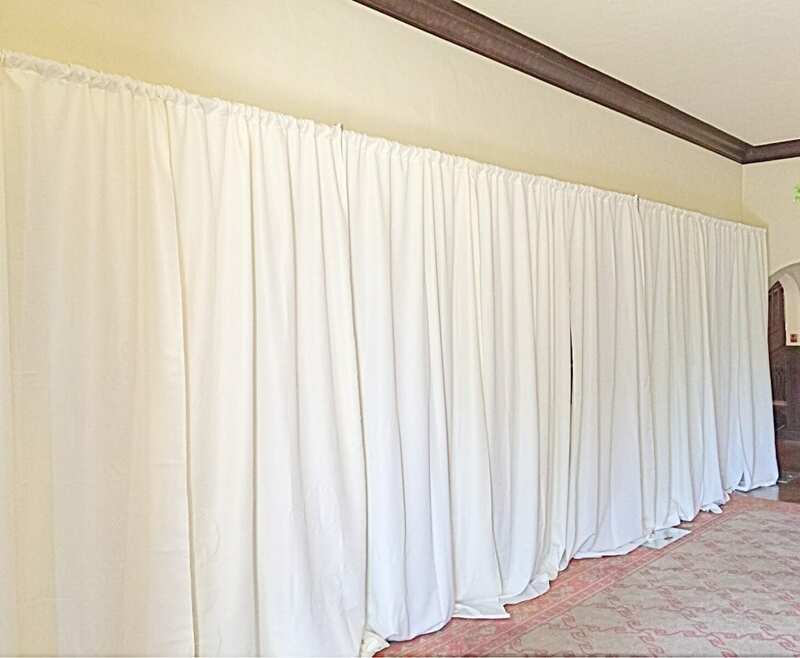 Our easy to install drape system offers no need for walls and is easy to install with your favorite fabric. Install anywhere indoors or outside, to create that perfect background or step and repeat backdrop. 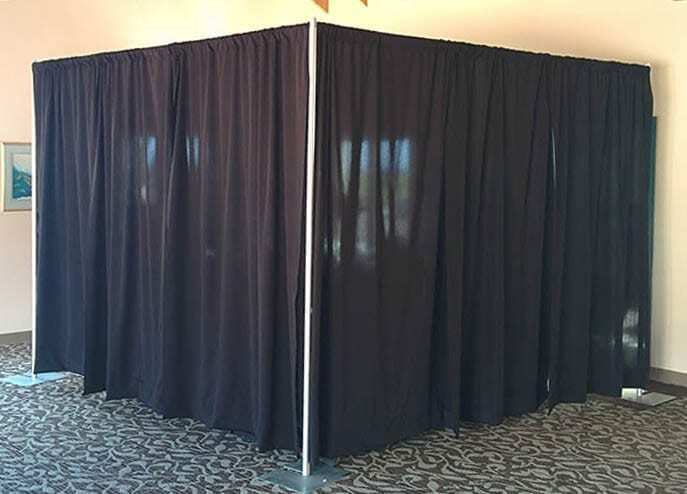 Self hanging drapery is also perfect for DIY photo booths. Let your creativity lead the way! Call for a quote or add to the side Quote Request for a custom installation price. 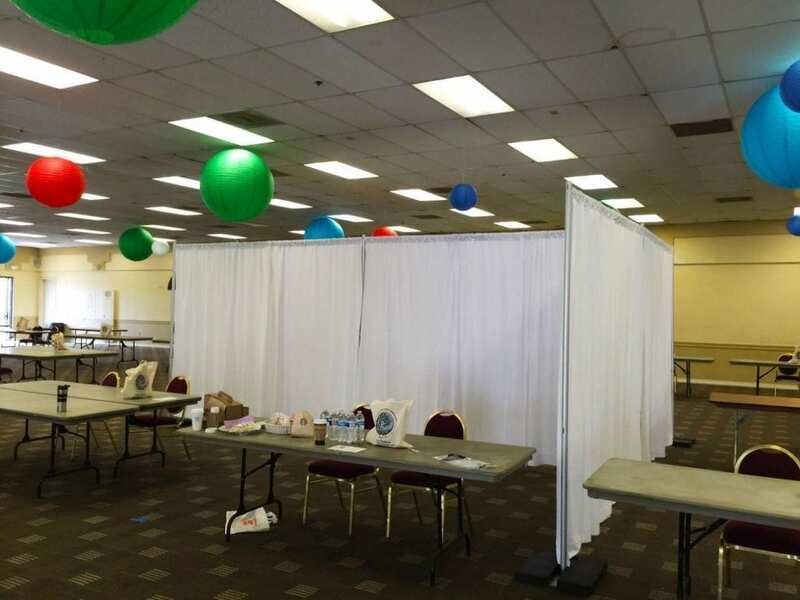 Small applications 8×10 walls and wedding backdrop kits. *Up to 20 feet is now available for will-call pickup. Call for details (805) 680-5484.